Delivering the best apparel for your active lifestyle. For over 40 years, Tail Activewear has focused on delivering the best apparel for the active lifestyle. Their focus on fit is one of the reasons customers are so loyal to the brand; their tops, bottoms, dresses, and outerwear are thoughtfully designed to flatter many body types, making the customer feel confident knowing they look their best. 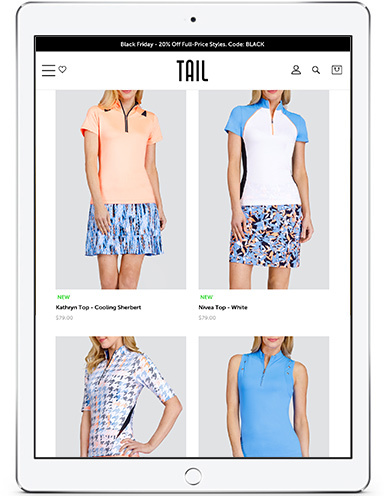 The result of their unwavering dedication to customers is a fabulous, fashionable wardrobe that will have anyone feeling their best for a round of golf, a tennis match, a yoga class, traveling, or just running errands around town. 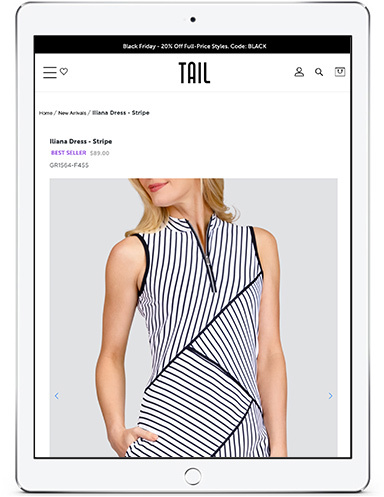 P3 carries this dedication to the customer over to Tail’s online business, providing their team with industry-leading web functionality, paid media management expertise, and email marketing management. The results of our unwavering dedication to our clients is that we’ve surpassed Tailactivewear.com’s revenue targets by 200%.